Its summertime once again and the heat is upon us. 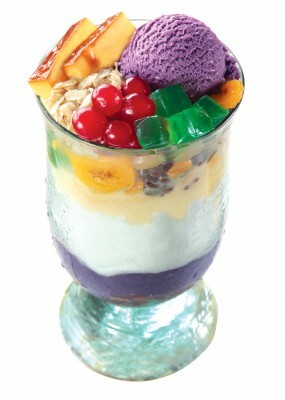 Nothing beats the hot summer sun with a Halo Halo for a Filipino. Cold and sweet, yummy and great, that's how to properly quench the situation. "Haluhalo or Halo-halo (Tagalog: [haluˈhaloʔ], "mixed together") is a popular Filipino dessert with a mixture of shaved ice and evaporated milk to which various ingredients are added, including boiled sweet beans, coconut, sago, gulaman (agar jelly), tubers and fruits. It is served in a tall glass or bowl." I love the Ube (Purple Yam) ice cream on top along with the pinipig (toasted glutinous rice). It goes oddly well with the evaporated milk, boiled sweet beans and other stuff. Even Anthony Bourdain loves this so much, he even twitted this for his followers to see. This thing is something to be proud of. Imagine a hot tropical country coming up with something that we don't have, Ice. This is just to show how creative we are in concocting a chilled snack using traditional local ingredients. I remember when I was young, Halo halo was just being sold in street corners. Of how I reminisce in watching how it was prepared. I was even volunteering to shave ice using an old style manual ice shaver. Young people nowadays are lucky. 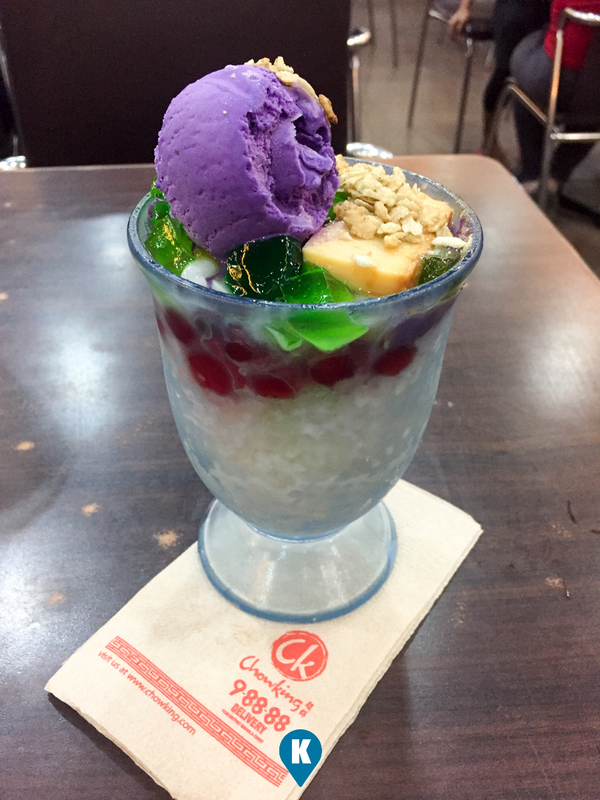 Halo halo now is offered in fast food joints and restaurants. Each one offering a different flavor or twist. 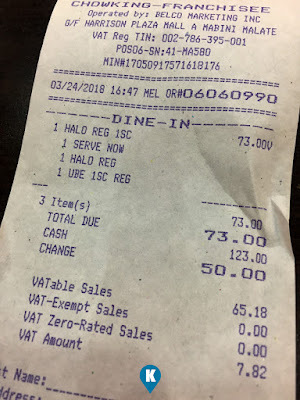 For our readers here, we have tried that of Chowking. 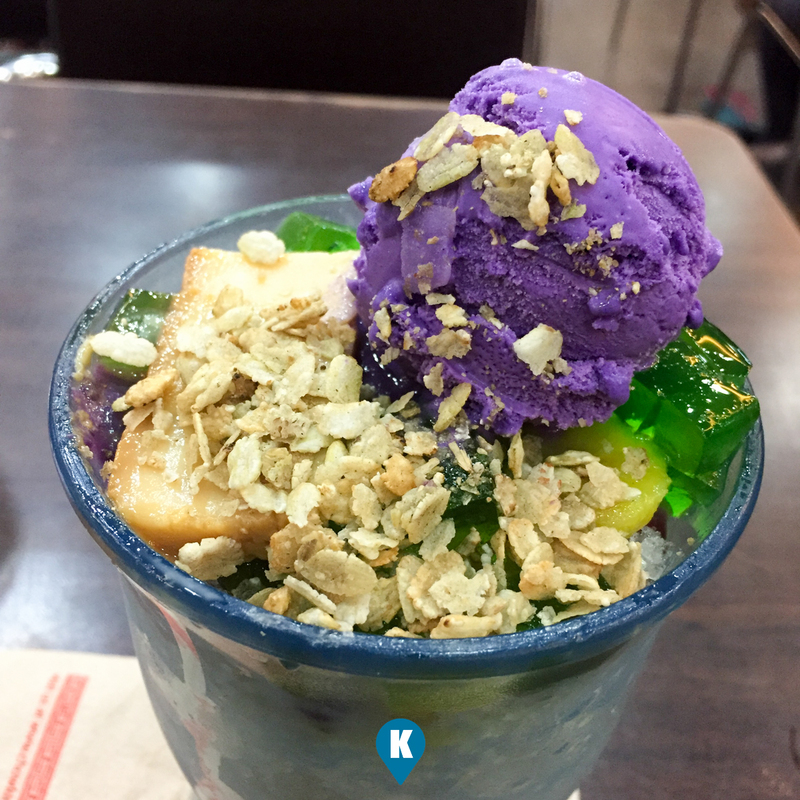 When this writer saw the photo of the Super Sangkap Halo Halo on the counter, I was moved to order one for myself. Costing Php73, I bought it thinking it was more than the one being sold for Php50+. I had the latter before and I tried to splurge a little to see the the difference. After my order came, I found out the only difference? The Ice. This time I had more than my previous Halo halo. 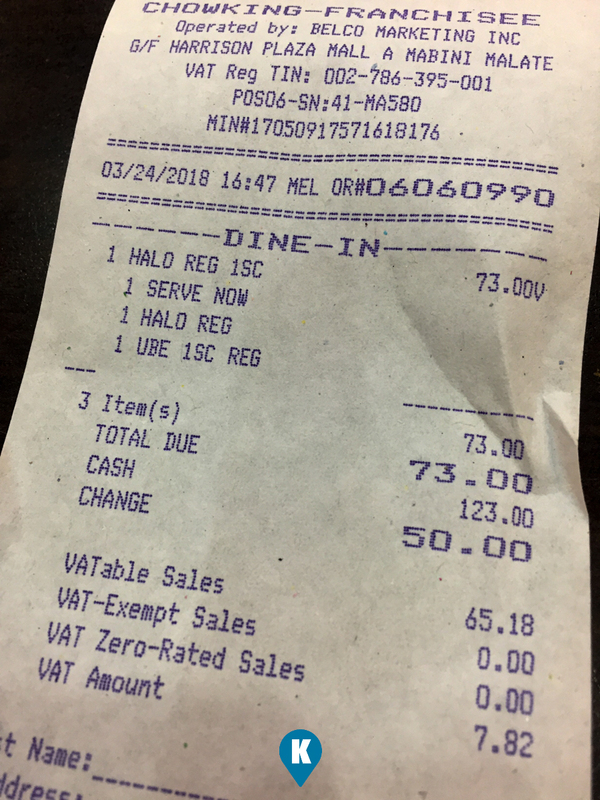 Chowking might dispute my claim, there maybe an increase of other ingredients but for me it wasn't that noticeable. I felt I should have stayed with the lower priced one. The satisfaction was the same. Nevertheless, the cold concoction did just what it was supposed to do, give us reprieve from the summer heat. As long as it works, I will still order the same if I feel like it.